Have you been charged with a criminal offense? Are you concerned about prosecutor mistakes? Or that you have no power once you are arrested or charged with a crime. But, none of these things is true. While the state does wield a lot of power, prosecutors do make mistakes. Mistakes happen up to and including trying to pin a crime on an innocent person. In addition, prosecutors routinely make errors in their process before trial and during a trial. As an experienced criminal defense attorney, I see these errors all the time, and I will use them to turn the case to your advantage. In any criminal proceeding, the state has a burden to prove guilt beyond a reasonable doubt. Until you are proven guilty, the state must treat you as though you are innocent. An experienced criminal defense attorney makes it his or her job to remind the court and the prosecution that it has the burden to prove guilt. You are not required to prove your innocence. Investigators and prosecuting attorneys may be confident in the evidence they have against you. However, issues with evidence can often be the weakest point in the prosecution’s case. Do you know what the following have in common? These tactics are routinely relied upon by prosecutors to win cases. However, they have the same flaw that can be exploited in a trial. If evidence collected against you can be shown to have been collected in error, or in violation of your constitutional rights, your case can be thrown out. Sometimes prosecutors believe they can win a case with very little evidence. A prosecutor may not make a thorough investigation either because his office is too busy or for another reason. If the prosecuting attorney fails to visit the crime scene or speak to witnesses, he or she may be missing critical information. The job of an aggressive defense attorney is to find any evidence the prosecution may have missed and use it to your advantage. 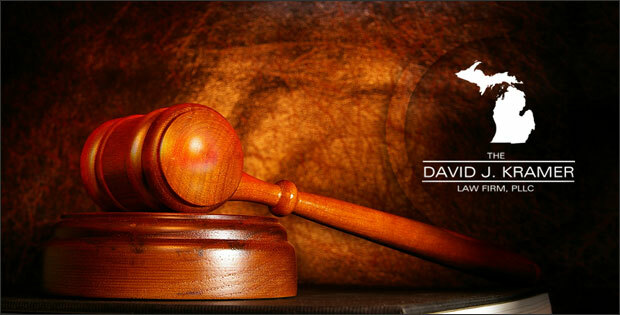 The David J. Kramer Law Firm, PLLC will always do a thorough investigation into your case to make sure we have what we need to win your case. When it comes to inflammatory or misleading evidence, a prosecutorial team will use every type of evidence it can find against you. The problem is, some kinds of evidence are so deceptive or biased that a court will find that they can’t be used. Witnesses can often have a bias against you. A skilled defense will include motions to suppress the introduction of this kind of evidence at trial as well as making objections during trial. It is common for prosecutors to use eyewitness evidence from a biased source, especially in charges of sexual assault, drug crimes, and domestic violence. An expert defense lawyer will bring out these biases on the witness stand to discredit a witness’s motivation. Your freedom is important and it is guaranteed unless the state can prove your guilt beyond a reasonable doubt. It is crucial that you have an aggressive criminal defense attorney fighting for your freedom if you are facing criminal charges. Prosecutor mistakes happen. Let me fight for your freedom every step of the way.